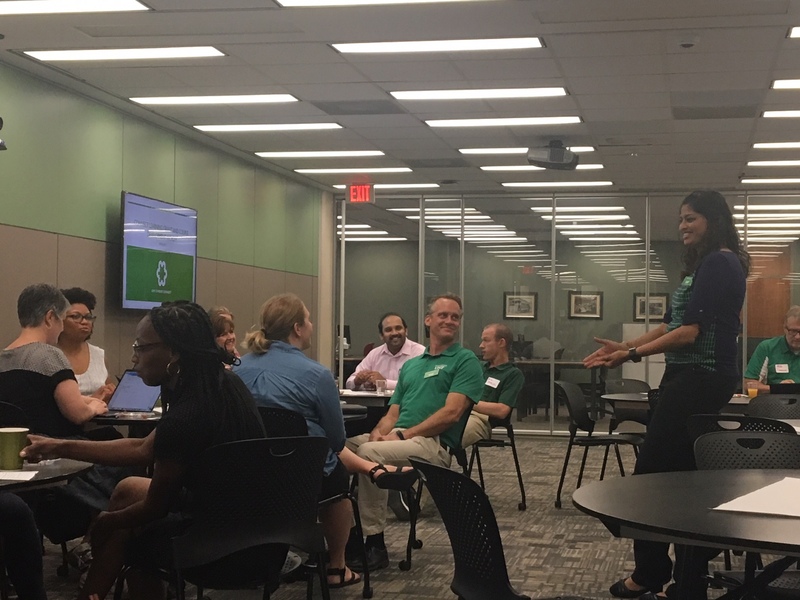 Career Connect administered a four-week online summer program to the 22 UNT faculty recipients of the 2018 Connect Learning Grant and Course Development Program. The selected faculty members, a group of enthusiastic educationists in diverse disciplines such as studio art, anthropology, fashion design, kinesiology and film, all had one goal in common: to help students connect the dots between their learning experiences and their career goals. The program supports faculty in redesigning existing courses with the aim of integrating experiential learning components. Whether students are engaging in service learning, internships, study abroad or research, integrating UNT Connect’s ePortfolio completion requirement into the course design not only supports these experiences, but also amplifies their impact. It allows students to showcase their marketable skills - oral and written communication, critical thinking and teamwork - giving them a competitive advantage by assessing them towards a UNT-awarded credential. By adding reflective practices in real-world learning environments, participating faculty members are better able to assess their students’ skill-specific progress in and out of the classroom using the ePortfolio platform. When students successfully demonstrate these skills through faculty, staff, or community member standardized assessments, they earn digital badges, tangible, verifiable evidence of their record of skills, which they can share on Linkedin, for instance. The summer program kick-off event revolved around the central question of how to make learning visible. During animated group conversations, participating faculty discussed the positive impact of immersing students into real-world experiences and how doing so teaches students empathy, business and conceptual competencies, and the ability to adapt acquired skills to different professional situations. A discussion of what constitutes transformative learning delved into the need for a more student-driven approach where students are involved in formulating their own learning goals and where they learn by doing. Adding such experiences to the curriculum has potentially long-lasting impact, such as a change in perspective as students become more aware of the use and impact of what they are learning. Students also acquire a greater ability to reflect, think critically, problem-solve, and evaluate their own performance to pin-point strengths and areas that need improvement. Facilitating this type of learning in a safe environment using the ePortfolio also provides faculty an opportunity to showcase their students’ achievements. In itself, this is a testament to their own teaching excellence and dedication, since Career Connect’s skills assessment component digs further beyond a simple badging system.